Roy Morgan Research has released the latest readership report for Australian newspapers for the 12 months to June 2017. Roy Morgan is one of two research companies measuring newspaper readership. The other is emma. 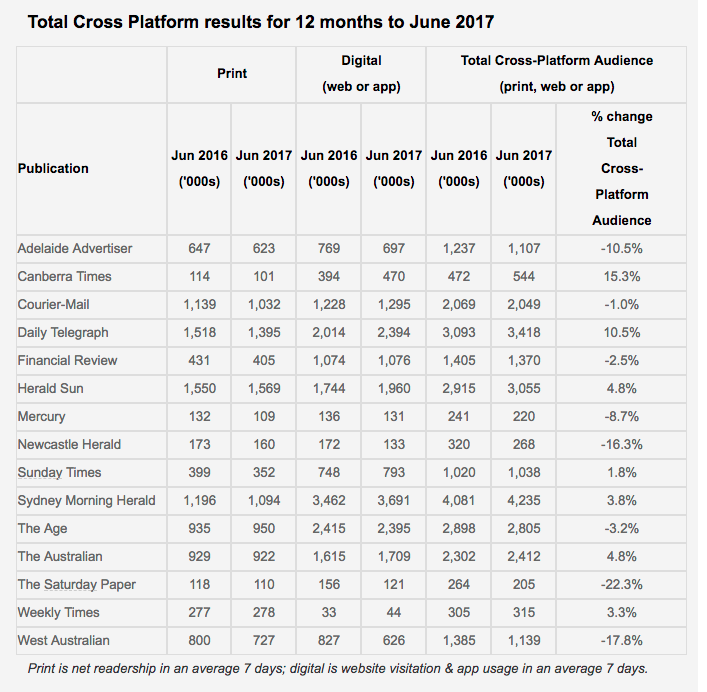 12,913,000 Australians 14+ (64.8%) now read or access newspapers in an average seven-day period either in print, or online via website or app – cross-platform. This is virtually unchanged from a year ago. 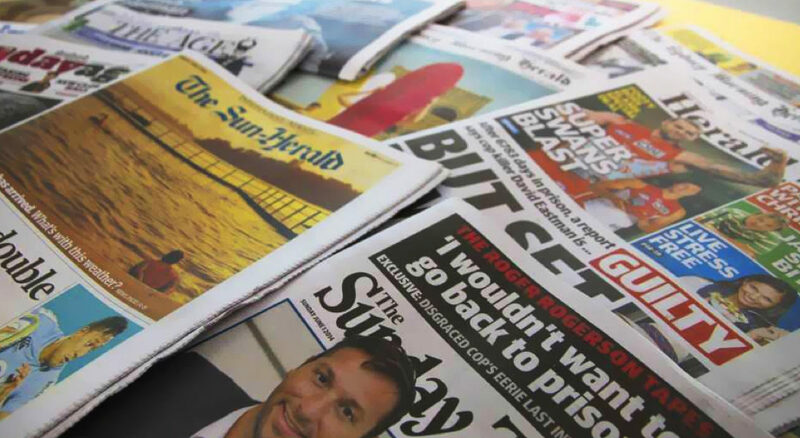 While cross-platform audiences are steady, the results do show growing numbers of Australians are choosing to consume their news via digital platforms rather than through the traditional print format. 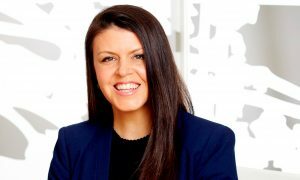 Over the past 12 months nine of Australia’s leading mastheads have increased their digital readership compared to only three that have increased their print readership. 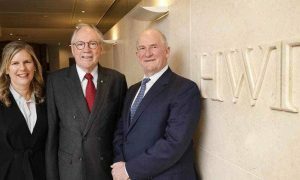 The Sydney Morning Herald – the most widely read with cross-platform readership of 4,235,000 – is up 3.8% from a year ago, its increase driven by an increase in digital readership that more than offset the loss of print readers. Sydney rival The Daily Telegraph with a cross-platform reach of 3,418,000 is up 10.5% in a year, and regional title the Canberra Times is up 15.3% to 544,000 – see the regional titles table for greater detail.